There are only a handful of ingredients out there that are genuinely suitable for all skin types, and jojoba oil is one of these. What makes this ingredient so great? The fact that jojoba oil is biocompatible with the skin, meaning that the skin readily accepts it and puts it to good use. Jojoba oil is extracted from the seed of the jojoba plant – a shrub that is native to certain parts of southern USA and Mexico. Around 50% of the seed contains the oil, which looks like a thick golden liquid when it is pure, with a subtle nutty scent to it. Although this liquid is referred to as an oil, it is technically a wax, making it even softer than a normal oil. Unlike many of the other oils out there, from almond to safflower to squalene, jojoba oil is quite stable when it comes to resisting oxidation, making this a fantastic oil to incorporate into skin care products when you need them to have a longer shelf life. Wondering what else the oil is used for? Since the jojoba plant itself is quite slow and difficult to grow, jojoba oil is only really used for small-scale purposes. Historically, it has been used by Native Americans to treat skin wounds and other similar conditions, and is now also currently being explored as an alternative sustainable fuel source. So, what exactly does it mean when an ingredient is said to be biocompatible with the skin? It basically means that the molecular structure of jojoba oil, along with the natural fats within it, are extremely similar to the oil that the skin naturally produces. This means that, when jojoba oil is applied to the skin, the skin is tricked into thinking that this oil is actually its own sebum. This results in the skin absorbing much more of it, and at a much faster rate, than other ingredients. Jojoba is the only plant out there that creates an oil that is so similar to the skin’s natural sebum, making this ingredient rather special. Why would I want to be putting even more oil on my skin? The idea of applying oil to oily skin may seem counter-intuitive at first, but hold on…. When you apply the oil and trick your skin into thinking that the oil is its own sebum, this then causes the skin to cut back on the amount of actual sebum that it is producing. Oily skin is also usually prone to breakouts. This is due to the excess oil settling in within the pores and mixing together with dead skin cells, dirt and other impurities. This then forms a clog, blocking up the entrance to the pores and resulting in inflammation, which manifests as a breakout. Well, as mentioned above, jojoba oil quickly helps to rebalance the amount of sebum that your skin produces, leaving your skin significantly less oily. Worried that the jojoba oil itself will clog your pores up? Jojoba oil is noncomedogenic, meaning that it is unlikely to lead to clogged pores on its own. How do you cleanse with jojoba oil? Good question! Lots of skin and body products are infused with jojoba oil to enhance the cleansing properties, so all that sebum and clogged pores can be effectively and gently removed. 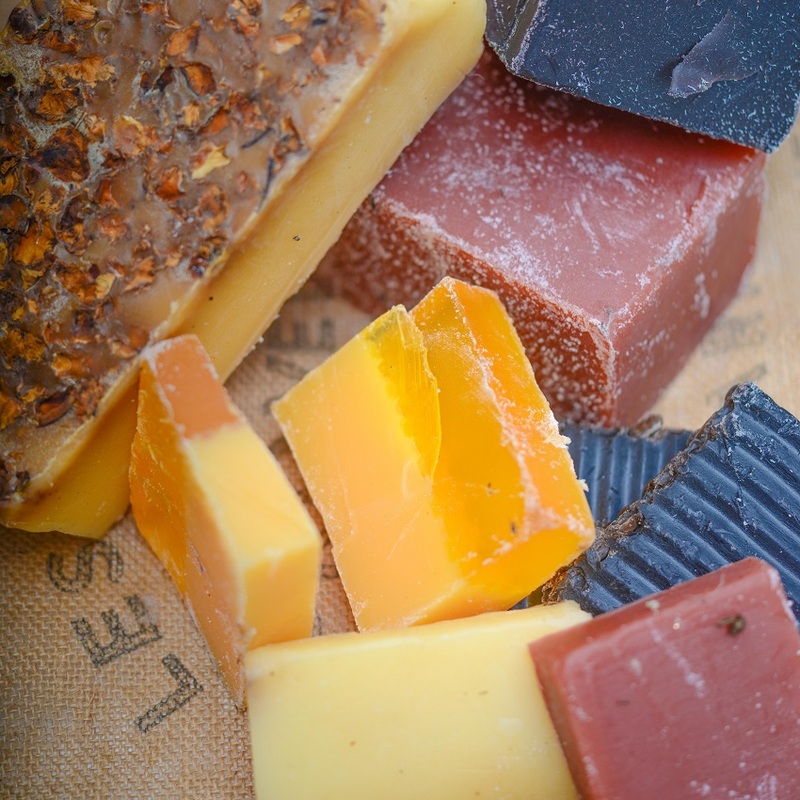 Are soaps infused with jojoba oil effective? These are soaps used for the skin on the body, and can be highly effective as an anti-acne measure, especially if you struggle with body acne. Resveralife recommends the Coco N’ Oats Soap and the Hemp Soap if you are looking for a swift, effective cleanse. Moisturizers are designed to support the skin’s protective barrier, enabling it to do its job better. 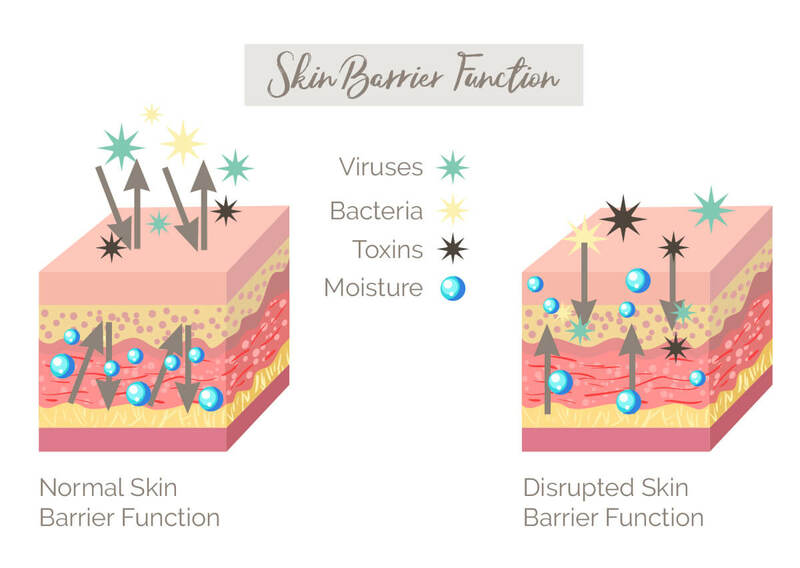 What does the skin’s barrier actually do? Wondering why you need a moisturizer if your skin already does that on its own? Because your skin’s outer protective layer is quite fragile and susceptible to damage. There are so many different factors out there that cause harm to this layer, from sun exposure and wind to pollution and certain cosmetic ingredients. This then means that this protective barrier will not function as well as it should, resulting in everything from dryness to breakouts to other blemishes. How does jojoba oil help with all of this? Due to the fact that it is a waxy oil, jojoba oil forms its own protective layer over the surface of the skin. This enables it to perform both of the roles mentioned above, therefore effectively moisturizing the skin. Eczema and psoriasis are perfect examples of this. Both of these skin conditions produce dry, itchy and sensitive areas on the skin, with those patches being highly susceptible to infections. How does jojoba oil help? Well, the way in which it forms a protective moisturizing layer over the surface of the skin helps with both the dryness as well as with preventing infections. The oil also boasts antibacterial and antifungal properties. This means that the oil destroys any harmful bacteria and fungus it comes across, keeping infections at bay. The oil’s anti-inflammatory properties help to soothe irritated skin, reducing inflammation enough for the skin to start healing. Those who suffer from eczema and psoriasis also commonly deal with open skin wounds. It is highly effective at speeding up wound healing. Research shows that, when the oil is applied to a wound, the skin cells in that area bind together so much more effectively, enabling them to heal faster and better. Looking for a new ingredient to add to your anti-aging arsenal? A powerful anti-aging ingredient needs to be a good source of antioxidants. Because each and every day, free radicals are created in the body. These are unstable molecules that are formed due to everything from exposure to the sun or pollution to exposure to certain chemicals or cosmetic ingredients. What do these free radicals do? They attack the cells and tissues that surround them, causing serious cumulative damage that then ends up permanently harming the DNA within your cells. Free radicals are responsible for everything from accelerated wrinkles to dark spots and hyperpigmentation. Wondering how you can stop free radicals from causing all of this damage? With the use of antioxidants! Antioxidants are pretty much the only thing that can neutralize free radicals. They turn them back into healthy molecules, where they can then function to support the skin, rather than attack it. These two proteins are so important when it comes to the health and appearance of your skin. They are key components of your skin’s structure, giving your skin its firmness, smoothness and elasticity. 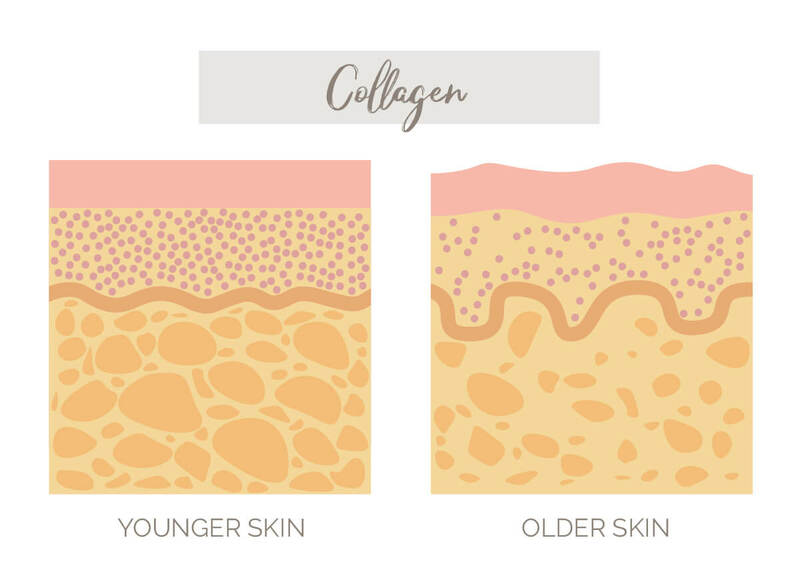 Both collagen and elastin are naturally produced by the skin, with the skin creating an abundance of this when it is young. However, as you progress through life, the amount of collagen and elastin that the skin produces decreases quite significantly. 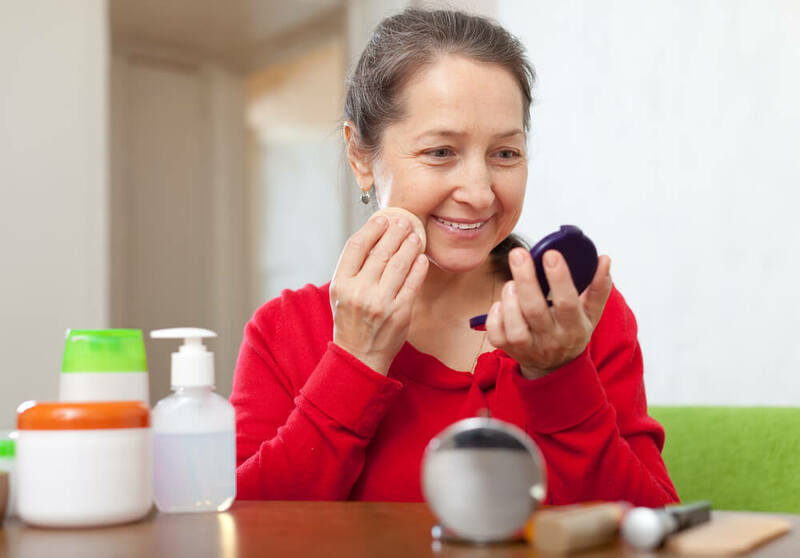 This is why fine lines, wrinkles and sagging skin are such common symptoms of aging. Free radicals damage the collagen and elastin in the skin, so by making use of the antioxidants within jojoba oil, you are already taking steps when it comes to protecting these vital proteins. Thanks to its many powerful antioxidants, jojoba oil is able to stimulate the skin’s production of collagen and elastin, speeding this back up. This is one of the most effective ways to tackle the visible signs of aging, as there aren’t really any topical ingredients out there that can match the effects that your skin’s own collagen and elastin have. Convinced that your skin would be able to benefit from the powers of jojoba oil? The easiest way is by purchasing skin care products that already contain jojoba oil in their formulas. Fortunately, there are several of these to choose from, ranging from serums to moisturizers to oils. All of these are quite effective, so long as they contain a high quality source of jojoba oil. How do you know if the jojoba oil in a product is high quality? Ideally, it should be cold-pressed. This means that it has been extracted with minimal use of heat, which then preserves all of the skin-boosting compounds within the oil. An organic oil would be even more beneficial, as this ensures that the oil contains the minimum amount of toxins. Wondering if jojoba oil can be used pure on the skin? Unlike many of the natural essential oils out there that cannot be used on the skin, it is safe for pure jojoba oil to be applied to the skin. The oil can also be used as a carrier oil for other essential oils, meaning that you can dilute other pure oils with jojoba oil to create your own unique formula. Does Jojoba Oil Have Any Side Effects? 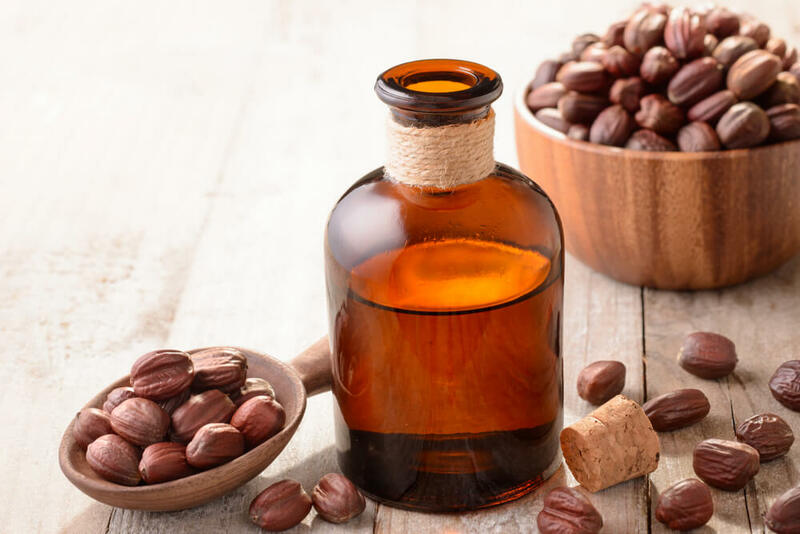 Jojoba oil is a hypoallergenic ingredient, meaning that it is safe to be used topically by all skin types, with little chance of it causing a negative reaction. It is even safe to be used around the eyes, which is why this ingredient is so popular when it comes to oil-based eye makeup removers. Fortunately, these side effects are very rare, with most people able to use the ingredient without any problems at all. However, if your skin is particularly sensitive with new ingredients, you would be best off performing a patch test first before using jojoba oil on your skin. What is a patch test? It simply requires you to apply a small amount of the product onto your inner arm, before waiting for 24 to 48 hours. If, after this time, there is no sign of any irritations or reactions, then that means that you are safe to continue using the product. Jojoba oil really is such a universal ingredient, which sets it apart from many of the other ingredients that are commonly used in skin care. No matter your skin type or the skin concerns you may be dealing with, it is likely that jojoba oil would be able to benefit your skin in some way, making this an ingredient worth incorporating into your daily skin care routine. We all want our skin to look its best, which is why it’s important to take good care of it. After all, it’s not just a blank canvas for makeup; skin is our body’s largest organ! Eating a healthy diet, which should include plenty of leafy green vegetables and healthy fats, staying well-hydrated, and getting a solid night’s sleep every night should be the base of your skincare routine. Unfortunately, even the best skincare routines can’t keep every single breakout at bay. Hormonal acne, food sensitivities, environmental factors, and even stress can trigger a breakout. When dealing with blemishes, there are a few important things to remember. The last thing you want to do is make it worse and the following advice will help get your skin clear again. It’s easy to look at a big, ugly pimple and think popping it will make things better, but it won’t. Your hands can introduce new bacteria to the breakout and make it worse. Even squeaky-clean hands can spread bacteria from an existing pimple to otherwise clear skin, creating new breakouts. Not to mention, the pressure and aggravation caused by picking at blemishes can cause damage to the skin and lead to scarring. Properly cleansing your skin can help start the healing process. All you need is a gentle cleanser and warm water. When shopping for cleansers, look for ingredients that can treat blemishes without overdrying your skin. Salicylic acid in low percentages can be quite effective and ingredients like chamomile or aloe vera help calm inflamed skin. To wash your face: wet your skin with warm water and apply a dime-sized amount of cleanser with your (clean!) fingertips. Using gentle, circular motions, massage the cleanser into your skin. Rinse with warm water and pat dry with a clean towel. While your skin is still damp is the perfect time to apply a moisturizer. Often, we think we need to dry our skin out to heal pimples, but well-hydrated skin will heal quicker and look better in the process. Those with acne-prone or oily skin should look for oil-free moisturizers. Normal and dry skin types can use richer formulas suited to their individual needs. All skin types can determine if their moisturizer is right for them by seeing how their skin feels within 5 minutes of application. If your skin feels dry, you need a more hydrating moisturizer. If it feels tacky or greasy, you need a lighter, or oil-free option. Finally, applying a spot treatment can help clear your skin when time is of the essence. There are hundreds of over-the-counter treatments available; look for ingredients like sulfur or benzoyl peroxide to help dry up pimples. For a d.i.y. treatment, apply a small amount of raw honey to the affected area for about 15 minutes before rinsing off. Since honey is naturally anti-microbial and anti-inflammatory, it can treat blemishes without being quite so harsh on the skin. Following these tips will help you wake up in the morning with clearer skin. Remember that most of all, your body needs good nutrition, hydration, and sleep to heal breakouts and repair damage. Treat your body with t.l.c. and your skin will be clear again in no time! It is so easy to fall into a beauty rut, using the same cosmetic products decade after decade. However, your skin, as well as your features, change as you age, meaning that your makeup products and application techniques need to evolve too. 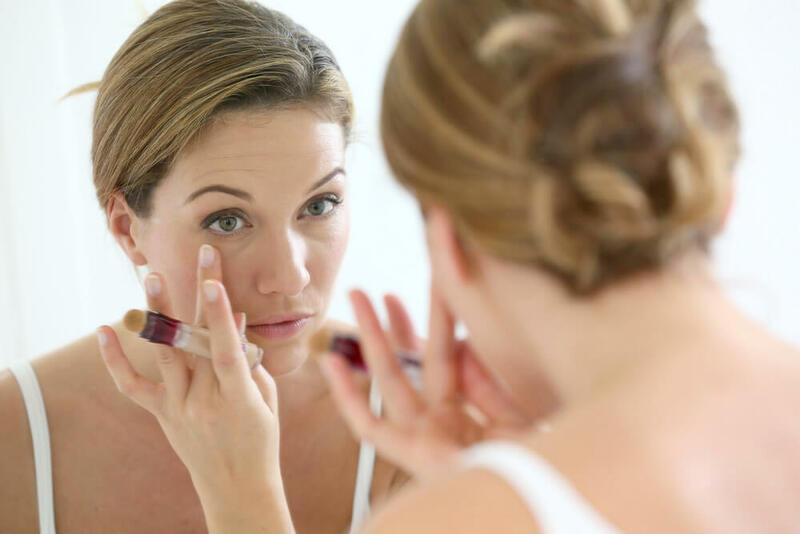 From foundation to lipstick, here are some guidelines when it comes to makeup for mature skin. The best-looking makeup begins with good skin, which is why this should always be your initial focus when evaluating cosmetics. Before applying any makeup to your face, you need to ensure that your skin has been thoroughly cleansed. Exfoliating it will be a bonus, as this will clear away any dead skin cells and rough patches from the surface of your skin, giving you a blank canvas to work with when it comes to your makeup. Immediately after exfoliating, you need to moisturize your skin. Because one of the main skin issues that mature skin faces is a lack of moisture, as skin loses its ability to retain moisture as it ages. This can result in a rough and dry complexion, which will only end up being accentuated, rather than hidden, by your makeup. A thick and rich moisturizer is best, and it should also contain plenty of antioxidants, such as vitamin C and resveratrol. Another bonus to moisturizing before applying any makeup? It will give your face a smooth and dewy finish, meaning that your makeup will just glide effortlessly on afterwards. Primers are not strictly essential, but do have quite a few benefits, especially when it comes to mature skin. When choosing a primer for mature skin, you want the formula to be a lightweight and moisturizing one, without containing any shimmer. As with any product you use, try to pick one that contains added antioxidants. If your skin is sensitive, look for a primer that contains soothing ingredients, such as niacinimide or green tea. When it comes to choosing a foundation for mature skin, thick formulas, or loose powders, are a big no. These products will only end up settling into any creases in your face as your skin moves, making any fine lines or wrinkles so much more visible. Instead, go for a light liquid foundation, or a cream foundation. Wondering what the main differences between the two are? Well, a cream foundation is more opaque, meaning that it provides better coverage if you have age spots or broken capillaries. Using a cream foundation means that you will likely need to use less concealer on any of these blemishes. Another bonus to using a cream foundation formula is that these will usually be more moisturizing, making them great for drier skin types. 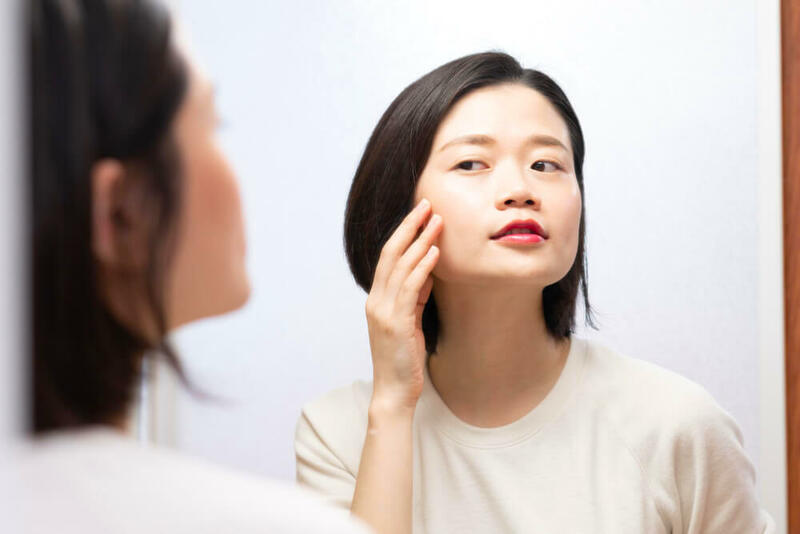 On the other hand, a liquid foundation will tend to have a lighter texture, and, if you only have a few minor imperfections, a liquid foundation will likely do the job. 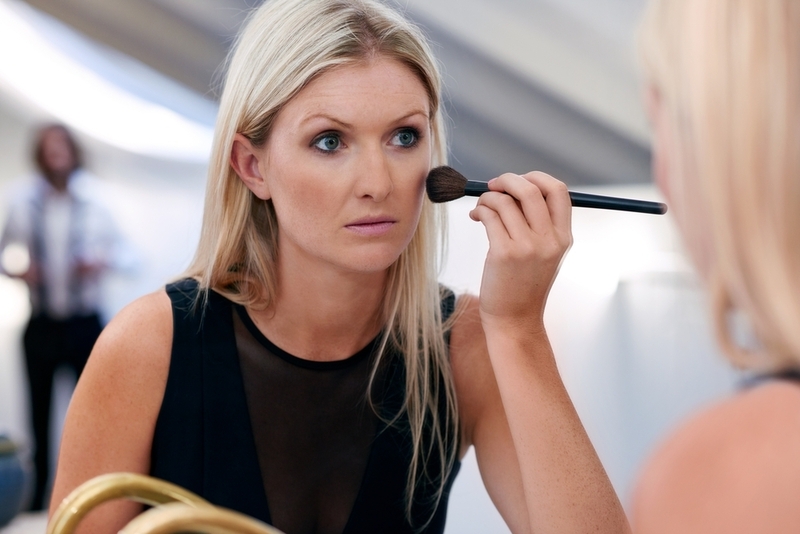 Begin at the center of your face, and use a foundation brush to blend this outwards. Wondering how to stop your foundation from settling into any lines or wrinkles? This is often inevitable, no matter which foundation you choose. When this happens, all you need to do is blot the area with a Q-tip, before fixing it up with some powder. Alternatively, if you are dealing with fine lines rather than deeper wrinkles, try pressing a finger gently against your skin, rocking it back and forth in a slight rolling motion. This will help to disperse the foundation that has settled into your lines. Don’t like using foundation but still want a bit of coverage? Try a CC cream instead. These are actually perfect for mature skin, because not only will they disguise any redness or imperfections, but they will also refine your skin’s texture. While some may strongly believe that a concealer should be applied before a foundation, it should really be the other way round. Because your foundation will already cover up quite a few imperfections, so you will only need to use the concealer on areas that actually need the extra coverage. Want to know the best way to use a concealer to hide blemishes? Simply dab a small amount onto your blemish, and then use the tip of a brush to blend this into your foundation, until you cannot see it any more. In addition to using your concealer to cover up any blemishes, you can also apply it in a way that will help to give your face more of a lifted appearance. Use your concealer to draw a triangle on your cheek, with the base of the triangle underneath your eye, and the other two sides pointing down towards your cheek. Then, blend it in. So, how do you actually go about choosing a concealer for mature skin? Well, just like with your foundation, liquid or cream formulas are best. 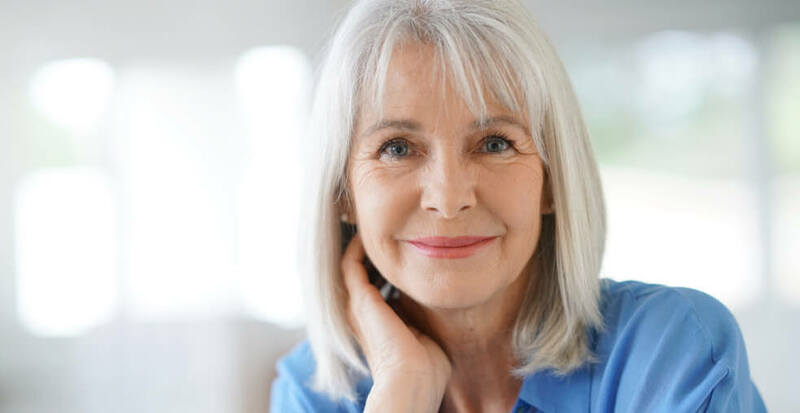 Liquid is usually preferred by those with mature skin, as its lightweight texture means that it is less likely to gather in wrinkles and creases during the day. If you opt for a cream, you may need to set it with a powder afterwards to ensure that it does not crease. You will also likely need two different shades, one for underneath your eyes and one for your face. While a cream blush looks great on bare skin, a powder blush tends to be the better option if you are also wearing foundation. However, in order not to dry your skin out, you need to make sure that you opt for a powder that has a fine and light texture. When it comes to color, do not be tempted by strong and harsh shades. As the face ages, it becomes more angular, and stronger shades of blush will only make this seem hollow. Instead, go for a softer shade, such as apricot or rose, making sure that it complements your skin tone. Many tend to apply this on the apples of their cheeks, but this often only ends up drawing attention to sagging skin. What should you do instead? Apply your blush to the highest point of your cheekbones, using a large brush to lift this upwards, making sure that you do not apply any color too close to your nose. Did you know that your eyes change shape as you age? Your eyelids become more hooded, while wrinkles around the eyes can also affect their shape. So, what is the best way to deal with this when it comes to eye makeup? A subtle wash of a light colored shadow is really all you need, with satin finishes in particular helping to brighten up the eyes. Matte and sparkly shadows do not work too well on mature eyes, as these tend to settle into the fine lines on eyelids, making them looked creased. If you do decide to go for a shadow with some sparkle or shimmer for a special occasion, keep this away from the outer corners of your eyes, as it will only emphasize fine lines. Instead, keep the sparkle for your inner corners, the center of your eyelids, and your brow bones. This is great to make your eyes really pop, but a liquid or gel formula can sometimes be too harsh on mature eyes, making an eye liner pencil your best option. Do you find an eye liner pencil difficult to apply? This is a common issue, but an easy solution is to just make sure that your eye liner pencil is soft, so that the color comes out smoothly and easily. Make sure that you apply more to your top lash line than your bottom. Because this helps to prevent your eye liner from dragging your eyes down. Eyeliner on your lower lash line will also make your eyes look much smaller, and will draw attention to any dark circles. Try to also ensure that the line you draw becomes thicker towards the outer edge, because this will give you a lift in an area where mature eyes tend to droop. Eyebrows naturally thin with age, and filling these in can really subtract decades from your appearance. Use either a light colored brow pencil or a shadow, as you want the color to look subtle and natural. Make sure that you blend this in well, following your eyebrow’s natural shape and ensuring that they do not look as though they have been drawn on. Mascara is great for this, but do not be afraid to experiment with individual false eyelashes, as these are perfect for filling in any gaps. Giving your eyelashes a curl before applying your mascara can also make a huge difference, as this will instantly open up your eyes, making them appear bigger and brighter. When applying mascara to mature eyes, you would be best off staying away from your lower lashes, and only applying it to your top lashes. Because mascara on your lower lashes will only emphasize any dark circles or crow’s feet, whereas a deep, black mascara on your top lashes only will make your eyes look brighter and whiter. Your lips will change quite a bit as you age, becoming much thinner, with wrinkles appearing around them. This means that you will want to use makeup in a way that plumps your lips out, so that they appear fuller and smoother. With a sheer, moisturizing lipstick. Neutral shades are usually best, as you want to enhance the shape and color of your lips without drawing too much attention to them. The most flattering shades for mature lips tend to be a color that is only slightly darker than your natural lip color. Try to avoid dark or bright lipsticks, as well as those with a satin finish. Because these often only end up drawing attention to thinner lips, as well as to fine lines. This can be used to give your lips a slight boost in volume, while also preventing your lipstick from bleeding into any wrinkles or lines. All you need to do is trace the lip liner around the outside of your lips, so that you have slightly over-lined them. However, make sure that the shade of lip liner you choose matches the shade of lipstick that you are going to be wearing with it, and try not to be too heavy-handed when applying the lip liner. Wondering whether or not you should be wearing lip gloss? The answer is no. While there is no denying that lip gloss can really help to plump up your lips, it will also highlight every single fine line that is on your lips, so is best avoided. 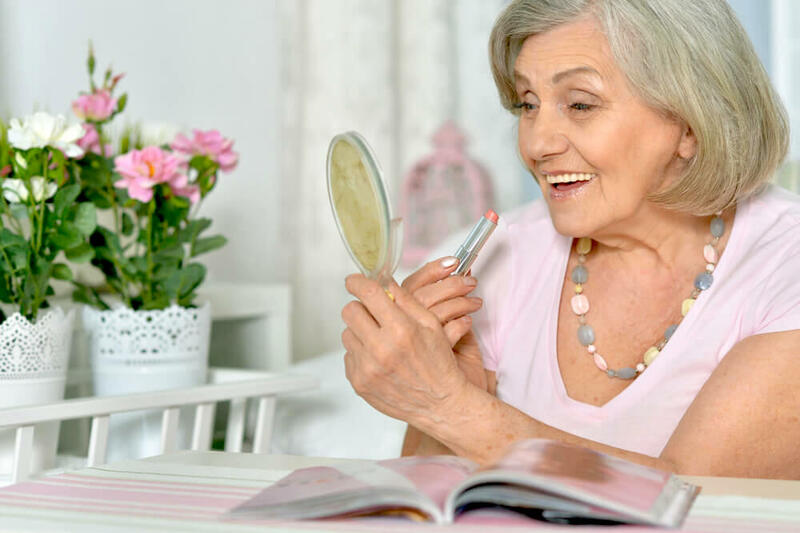 In order to really look your best as you age, your makeup needs to evolve in the same way that your face and features do. From your eyes to your lips, make sure that you are constantly assessing each individual feature, so that you can determine exactly what they need in order to really shine. What’s the Difference Between Wheat and Gluten Intolerance? nothing can cure the senses but the soul." Friday 9:00AM - 2:30PM PST. Resveralife is a unique retail brand that believes in offering customers a healthy lifestyle experience inspired by all five senses – sight, touch, smell, taste and sound. We believe in celebrating health from the inside out. Our boutique carries a diverse line up of products that promote an active and healthful way of living through diet, exercise, rejuvenation and spiritual wellness. Manufacturer Warning: For your safety, never purchase Resveralife products from unauthorized online sellers as they may be used, expired or counterfeit and present a serious health risk. To report unauthorized sales or confirm the authenticity of your product, please contact us.